Sichuan:Maerkang (Barkam) Xian. SE of the city if Maerkang on highway 317, then on highway 211 to Dangba, village of Yinliang Cun. 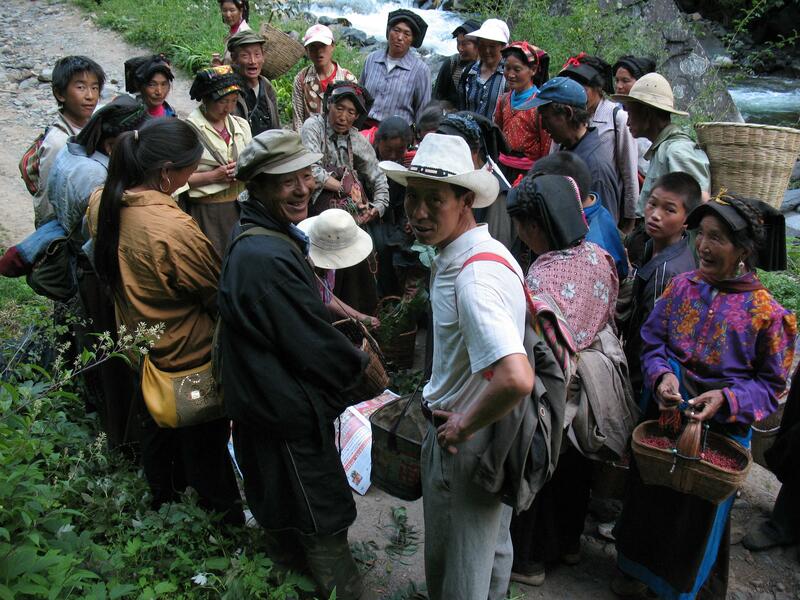 Villagers, returning from gathering Huajiao (Sichuan pepper - Zanthoxylum bungeanum), watching Susan Kelley pressing specimens.